Below is an e-mail exchange with Mr Paul Muser who was acquainted with Mr Felix Vetter. 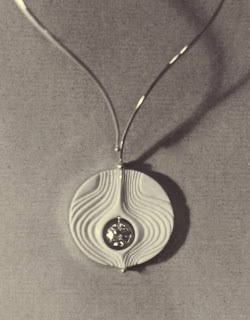 He also provides examples of Vetter jewellery. I hope it would inform readers/viewers about the remarkable work Vetter has produced. 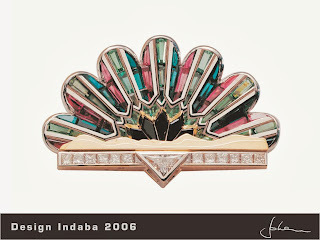 Perhaps others who own jewellery made by him would respond and post examples of his work as well? request for information regarding Felix Vetter. Felix Vetter was a regular weekly visitor to our home at 80, 6th Avenue Mayfair North Johannesburg until mid 1968 when my Father Gustav, (who was I believe it is fair to say was Felix's best friend and confidant), passed away. The following , in no particular order, are my childhood recollections with respect to Felix. I trust you will find them both interesting and beneficial to your project. My earliest strong recollections of Felix are of 1946 during which Felix would bring large numbers of empty cardboard boxes, along with considerable amounts of foodstuffs; chocolates, coffee; medications, wool, knitting and sewing materials, cigarettes, writing materials; clothing, (and other items that a 7 year old would not really be interested in), which my mother would pack tightly into the cardboard boxes, then wrap and sew up each box in a sturdy woven material, (bed sheeting?) , before attaching/sewing on an address/contents label, which I believe carried the International Red Cross symbol. As I recall the sewn parcels would all be taken to our near by Post office for delivery to German citizens who I was told were all suffering too, in the aftermath of the war. There must of been several hundred parcels that my mother packed and that Felix paid both the cost of and the shipping for. I thought this was a great humanitarian gesture on Felix's part. At that time Felix already had his own Jewellery manufacturing and showroom Store in downtown Johannesburg. I believe it was on Jeppe Street? After the cessation of the Parcel period, Felix would often stop by our home on his way to and or from work, most often to also unwrap and show us his latest creations, many of which were in the various manufacturing stages, as he also had constructed a work shop and bench within his 3rd Avenue Mayfair North home. to illustrate how he produced his masterpieces, he would proceed to carve or engrave some details, whilst sitting at our kitchen table! Felix was a prodigious worker, often working at home until the wee hours of the morning, all the while smoking and listening to his fine classical music recordings. All this fine and demanding work required, as one can imagine, a great deal of strength on Felix's part, which resulted in Felix having exceptional upper arm/body strength. One memorable afternoon Felix appeared at our home in high spirits, with a large brown paper and string wrapped large object under his arm, saying ""you must haf a look at what I haf.." (in his deep voice with thick German accent), and hurried to our kitchen table with my parents and I in close pursuit, whereupon he put down and unwrapped the massive 9 Pound Emerald which he had just purchased from the Williamson Diamond mine in Tanganyika. 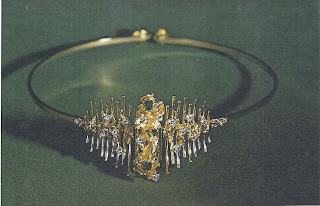 A year or so later, Felix brought over a truly magnificent 3 tier Emerald Necklace with matching massive Bracelet and Earrings, all cut from the Williamson purchase for my mom to wear and pose with. Later he told us he had sold the set to US individuals reportedly acting for Sophia Loren. On another occasion, Felix told us that an elderly lady often came by to look in his window, her peculiarity being that her head bobbed up and down continuously. One day he intercepted her outside his store and invited her in. It turned out she was British Royalty, possibly an aunt of Queen Elizabeth? I cannot recall who she was exactly but I know she had the title "Lady" and subsequently bought a lot of jewellery from Felix. On still another occasion, Felix again appeared in very high spirits with News, brochures and photographs showing he had jus won the Sao Paulo Biennial, held in Brazil, where he was judged the world's best Jeweller. Felix was very kind to me and whenever the situation allowed, would always enquire as to my welfare/wellbeing and would give me sage advice regarding ethics and how I should behave and encouragement to pursue my dreams. On one such occasion, I asked about how he had come to S. Africa and he said it was by boat and he would never forget his first day. 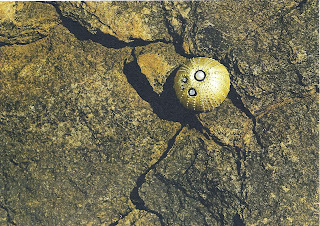 He had landed at Durban and after clearing Immigration, found himself in this beautiful warm, ocean paradise, surrounded by roadside vendors who were selling the most delicious variety of fruits he had ever laid eyes upon, especially since he had come from europe where I understood he had been hungry and cold and had not seen fruit for a considerable time, especially the tropical kinds which he saw in abundance.. As he only had a very small amount of money he enquired about the price from the vendor, but being unable to communicate, he finally gave the vendor a silver "tickey (3 pence). The Vendor then gave him a huge amount of fruit! Felix was both overwhelmed and hungry and determined that he could not possibly let this fruit go to waste, so he promptly sat down and proceeded to eat all the fruit throughout the day until early evening when he started to feel quite ill, then began throwing up as well as developing a case of diahorrea. Nevertheless after recovering next day he was certain that he had landed in paradise. After travelling to Johannesburg as I recall, he rapidly prospered and within a few years, owned both a car and a thriving business. However as luck would have it it was wartime, and being of German Descent and in a British Colony, he was arrested one day and without further adieu, packed of to an internment camp in South West Africa, where he was held for several years. 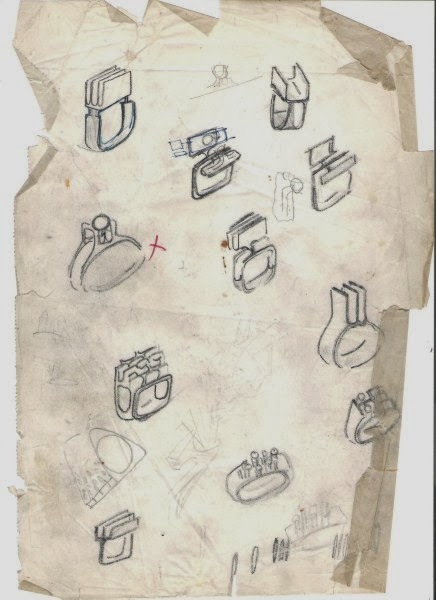 True to form however, and ever the entrepreneur/businessman, he immediately set about making a blow-furnace and new sets of tools, from a remnant of a car spring for one, he told me, and then began to produce jewellery in the camp! In answer to my question as to where he managed to acquire the gold and silver, he explained that he was able to trade for inmates and guards wedding rings, watch cases, coins, and even gold teeth fillings from the dentist! 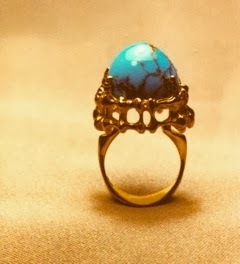 He also produced and sold jewellery to the Guards and thus was able to be on very good terms with them. 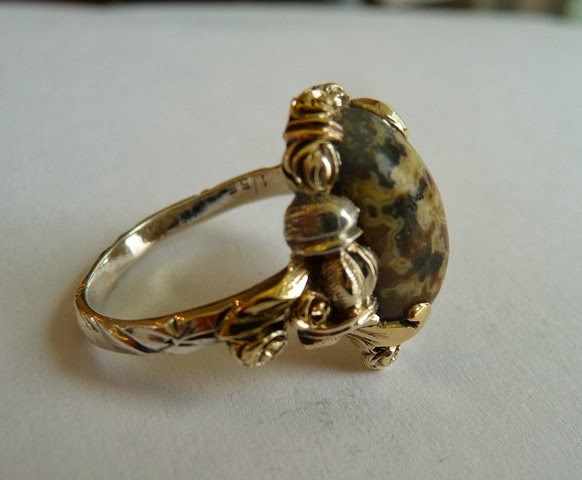 In addition, he also employed several inmates to grind and polish agate and other stones by hand, (mostly in a cabochon shape). It would take them a considerable amount of time to complete the polishing, but that was ok as they had plenty of time and there was nothing to do anyway he said with a laugh. 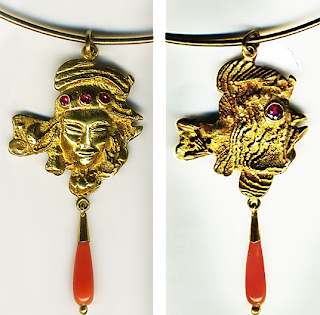 I'm pleased to tell, I have several of these exquisite pieces made in the camp! 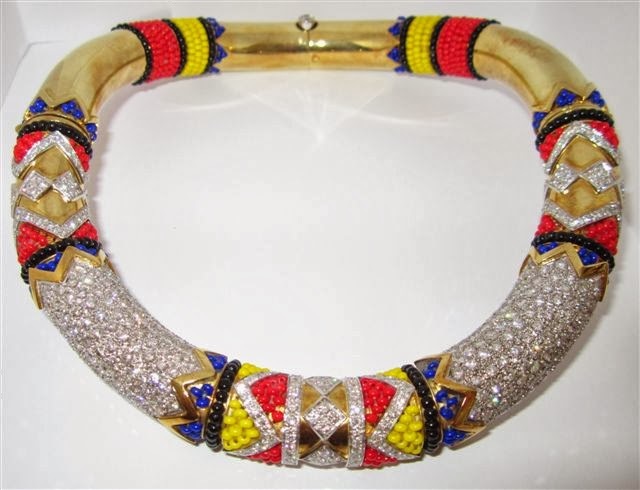 During a return visit to SA in 1974, I mentioned to his wife Editha, how much I had always admired his work and asked, if she had any jewellery Felix had made that she might wish to sell? 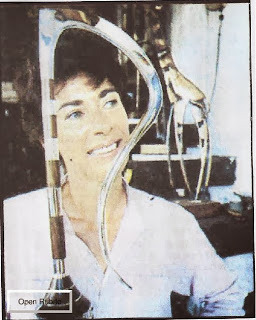 She replied that she had just assembled the 8 pieces Felix had made in the camp and had kept for sentimental reasons, and was just about to send them to the Johannesburg Museum! but would much prefer for me to have them if I wanted. Naturally I bought them all. Unfortunately 5 pieces were stolen some years later, but below please see the images of the much cherished remaining 3, as well as others made by Felix after his release. 1. 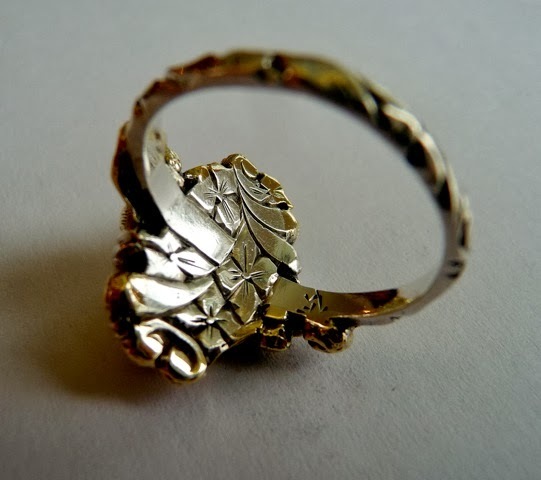 This Mostly yellow gold, with Leaf and Roses main Motif, ornamented with White Gold Engraved shank and 2 side elements, is also engraved on the inside with Felix's trade-mark "Flower Motif" design. 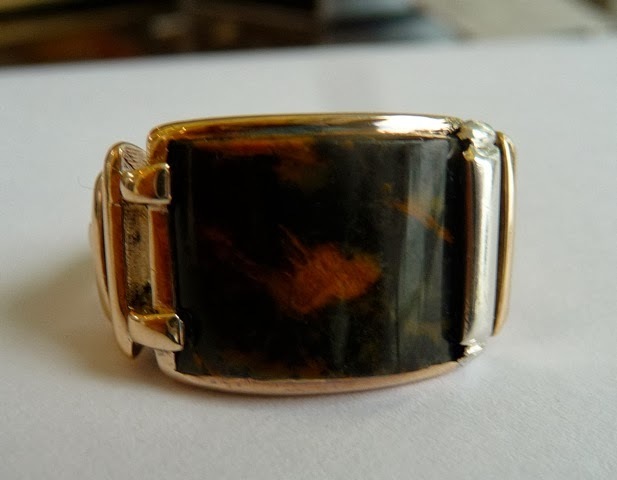 The hand-ground and polished, mainly Green with fine Maroon mottling/specs Cabochon stone, appears to be either an agate or a type of Malachite. 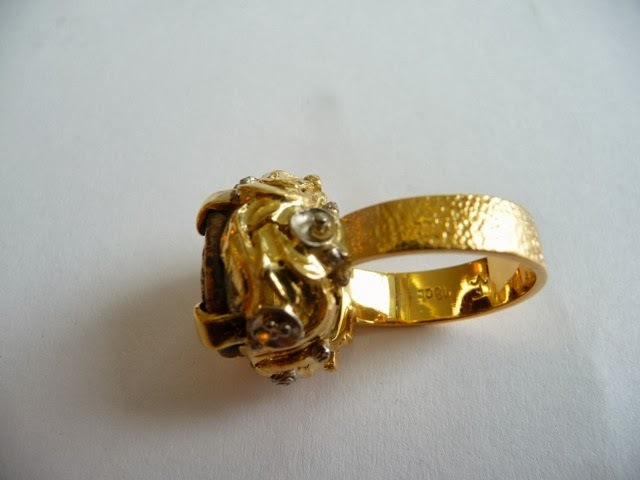 I has hardly been worn and is consequently in good condition. 4. 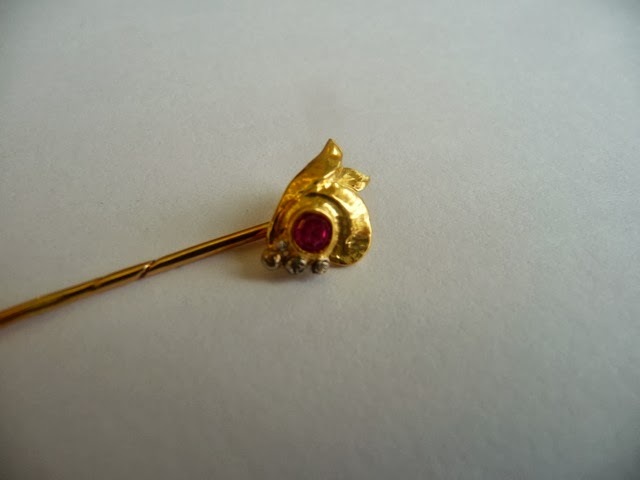 This Yellow Gold "Leaf Motif" with 3 White Gold roses and Ruby set, Tie Pin, (above) Felix gave me for my 21st birthday. 51 years later It is still one of my fondest possessions! 5. 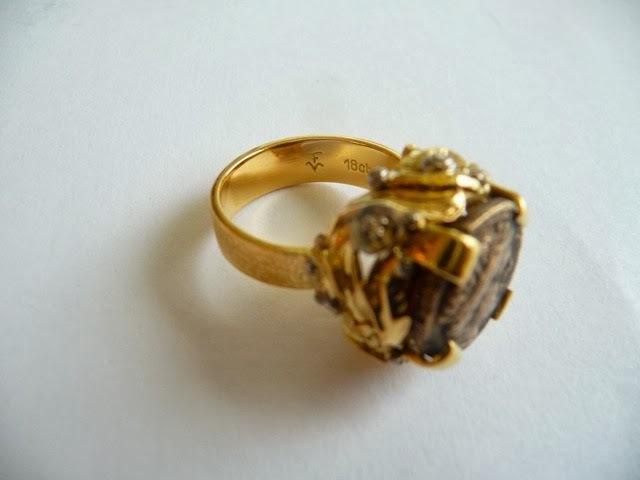 Modelled on a Byzantine Poison Ring, designed to be worn on his little finger, this ring, in yellow and white gold, was bought by my mother Jutta, for my Father Gustav, as a present for their 25th wedding anniversary. 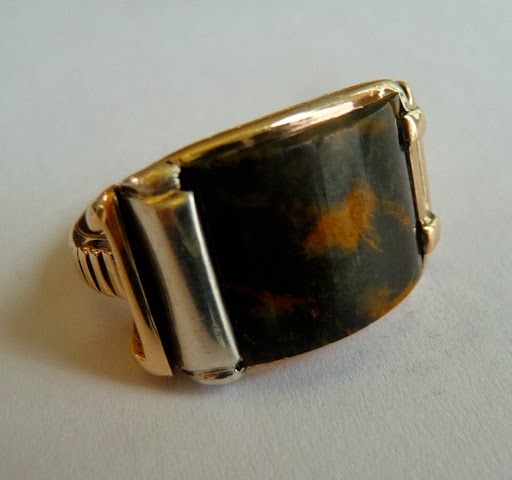 The stone is a Namibian Agate and I suspect, from the workmanship, it too was made in the internment camp in the 1940's. Like all the other Namibian pieces, it is engraved with a flower motif on the inside - and signed there, with Felix Vetter's distinctive engraved FV makers mark. My Father just loved this ring and wore it whenever the occasion to dress up presented itself. I wore this proudly for many years, but have now set it aside to give to my son upon the appropriate occasion. (MAKERS MARK ( a smaller capital F nestled within (but not touching) a larger capital V. Both letters stylized. 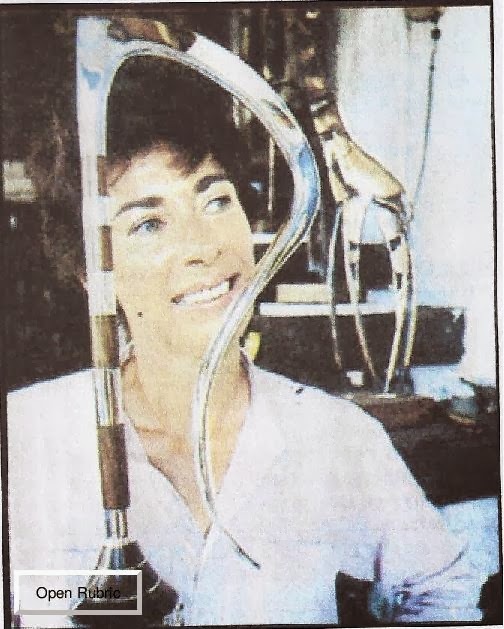 To my knowledge, almost all of Felix Vetter's creations, from the very earliest produced in Namibia, to his latest in the 1960's, were signed this way. 6. 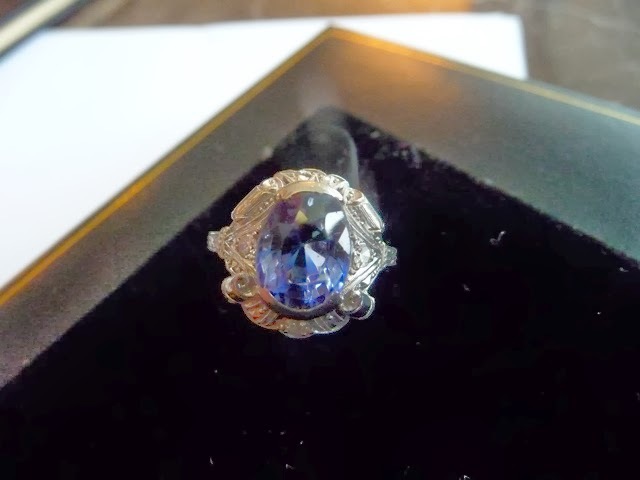 This ring, in white Gold, with a beautiful blue sapphire flanked by 3 small diamonds was purchased by my Father for my Mother, as her reciprocal present for their 25th Wedding anniversary. 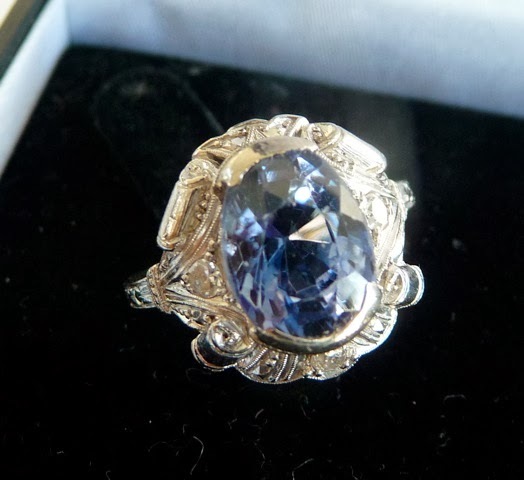 My mother truly cherished this ring and the memories that come with it, wearing it well into her 97th year! 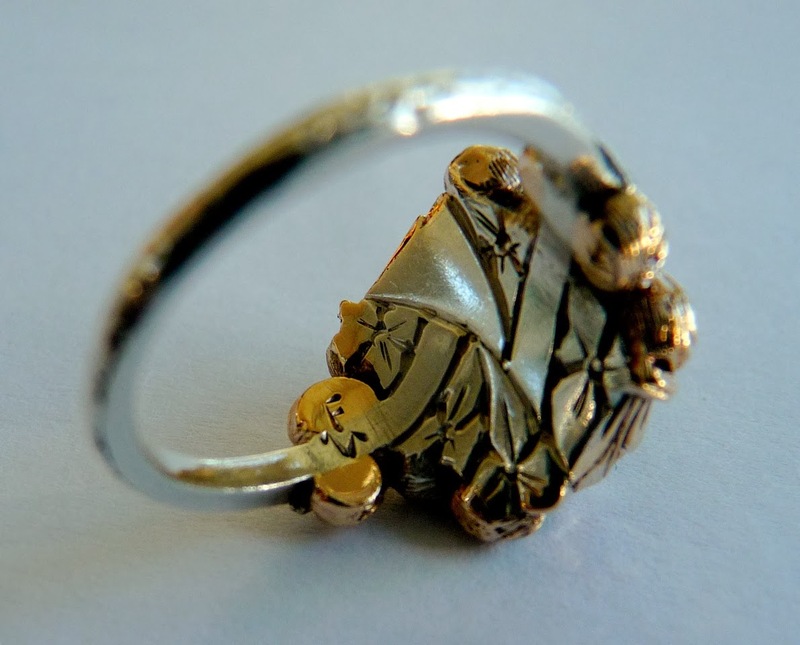 It, like the Namibian internment camp pieces, also has small engraved roses at various positions, which add exceptional beauty & charm to so many of the other creations of Felix's I have seen. 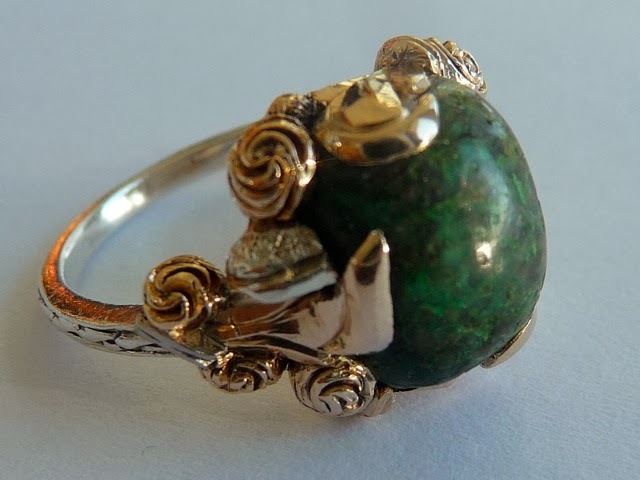 In fact I believe it could be stated that these small, exquisitely executed roses could be considered a trade-mark of Felix's work, as they appear so frequently on his creations. 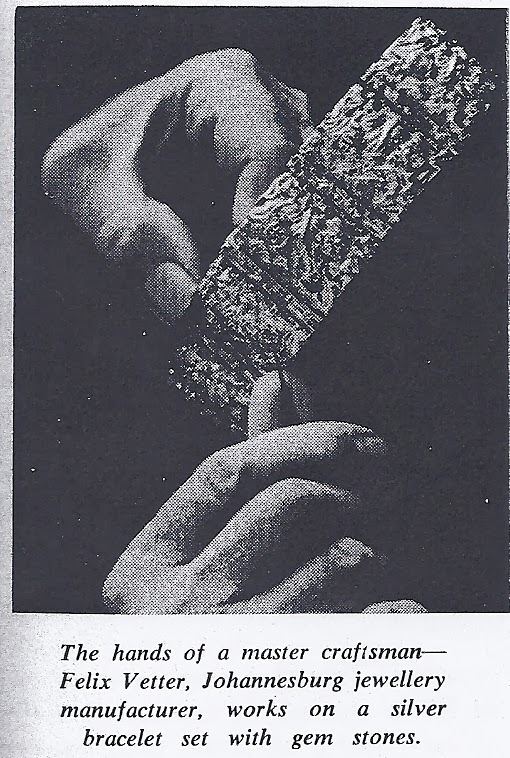 I often watched as Felix proudly demonstrated how they were carved by him, out of the metal/s, using specially hardened steel tools he had made, expressly for that purpose. 7. 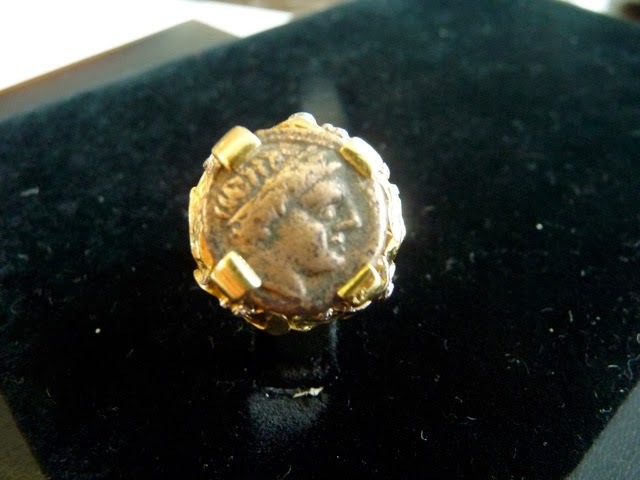 This yellow and white Gold ring, featuring an ancient Roman Coin in place of a jewel, was was another present to Mom, that Dad commissioned from Felix. 8. 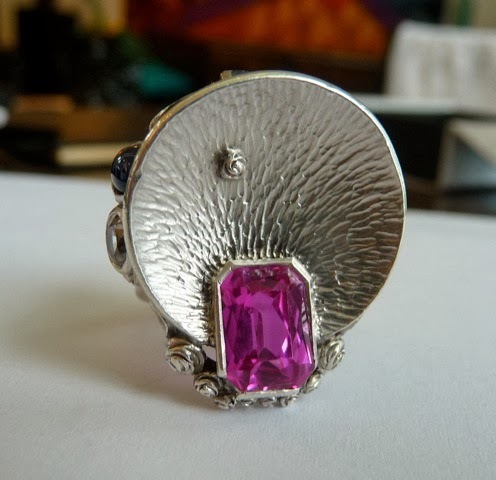 This Art Deco style White Gold "dress-ring Masterpiece, (it might be rhodium plated, but as it is unstamped I do not know), with inset rectangular vivid Pink Stone(?) 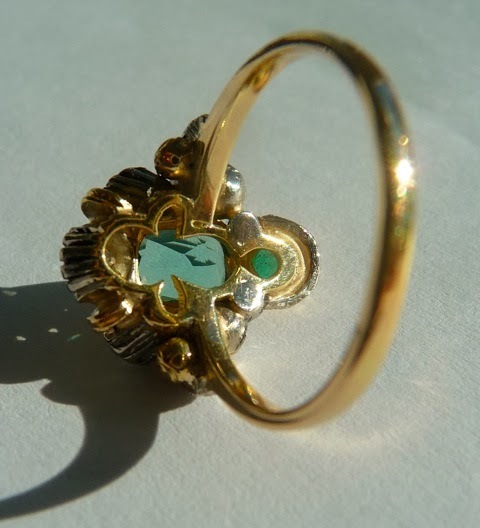 set below the angled disk with Diamonds, Ruby, Sapphire, Emerald and what appears to be a light blue Tourmaline, amidst groups of Felix's trade mark roses and lilies design, was purchased at first site from Felix one day by my parents. 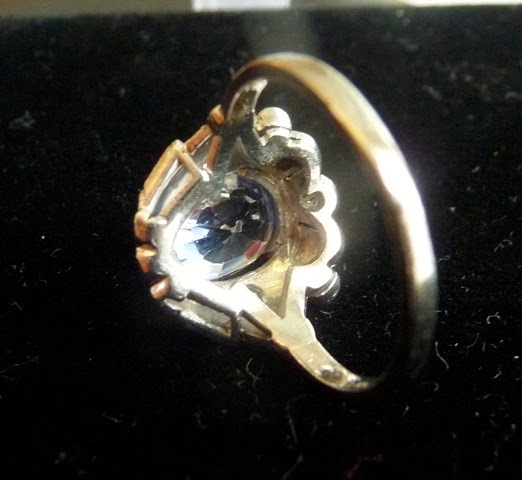 Felix always referred to at as "the Moon Ring" and so did my Mother. 9. 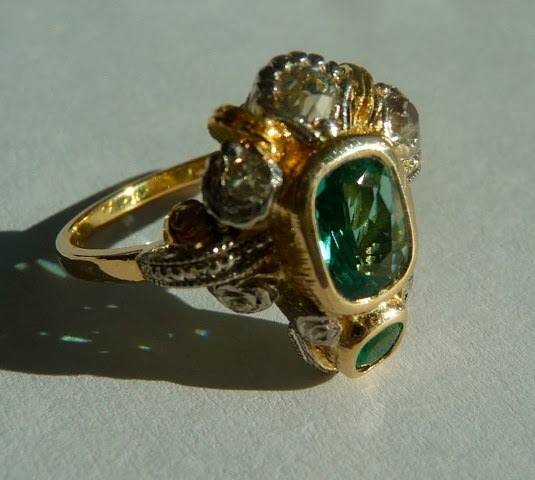 This Yellow & White Gold set with Emeralds and Diamonds, was originally my Maternal Great Grandmother's Engagement ring, which she in turn gave to my Maternal Grandmother upon her engagement in the late 1800's. 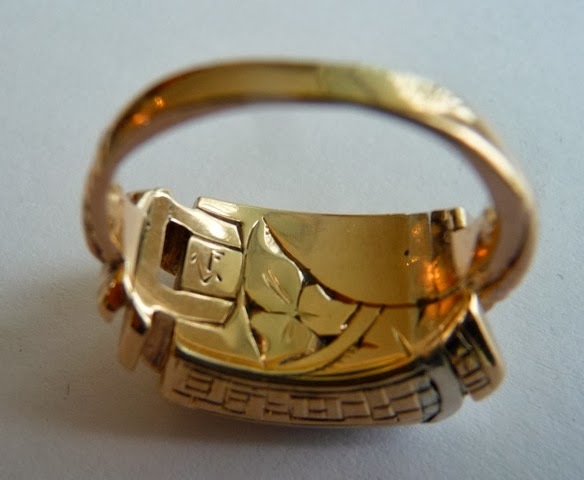 My Grandmother then gave it to her daughter, (my Mother) upon my Mother's engagement to my Father in the mid 1920's. 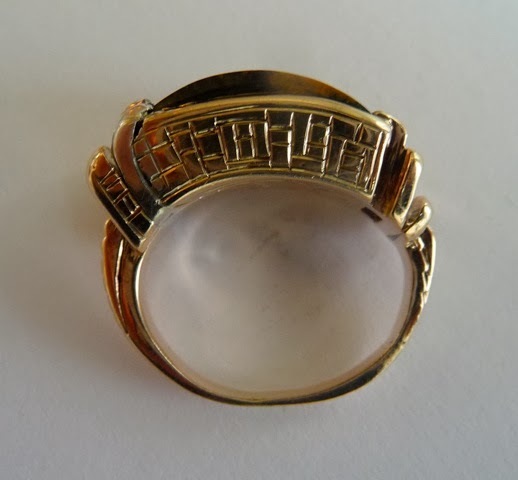 After meeting Felix in the mid 1930's or so, My parents asked Felix to remodel the ring as it was showing signs of considerable wear by that time. Felix did a most marvellous job, and my mother proudly wore the ring virtually every day, until early 1993, when, upon being introduced to my wife to be, immediately took off the ring and handed it to future Daughter-in-law, with heartfelt blessings and warm wishes, along with her hope that my wife would continue the tradition, by handing over the ring, when our children would become engaged. One can just imagine how wonderful the moment was, and what powerful emotions were engendered. 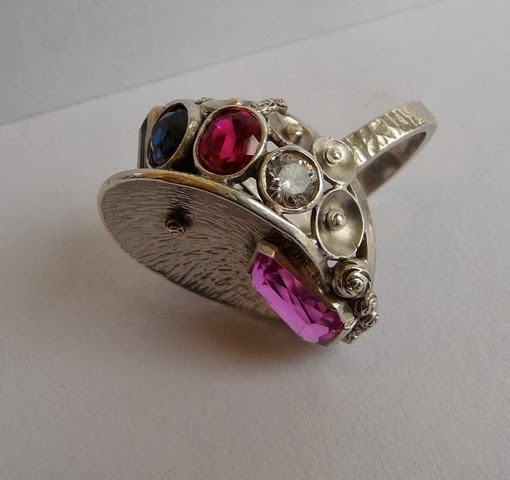 Consequently, just 3 years ago, with the ring showing signs of significant wear once again, we found a most exceptional Jeweller locally, who we asked in turn, ( as we really loved Felix's re-incarnation), to refurbish the ring as closely to Felix's original 1930's remodelling as possible. 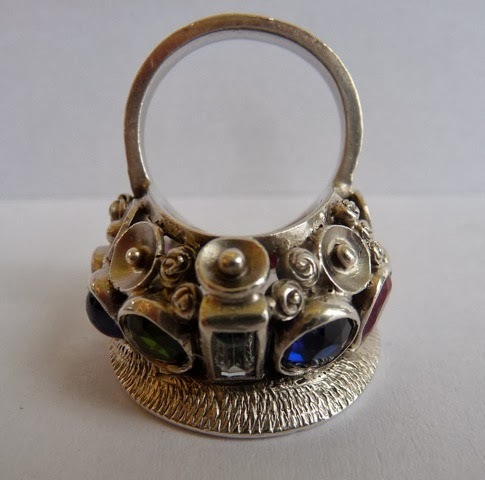 Now, we have the ring, in it's magnificent condition, safely stored, awaiting the day when our daughter announces her engagement intentions, so that we may continue the tradition to the 5th Generation of ring custodians - and - hopefully with God's blessing, even beyond…..! 10. 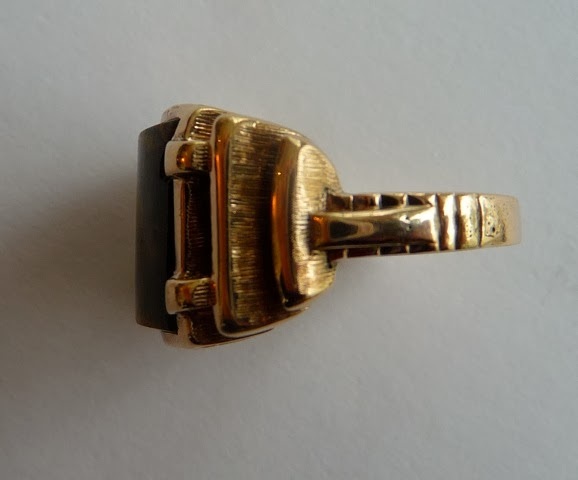 This 18 Gold cufflink was made & engraved by Felix Vetter as a replacement for one of my Grandfather's that was lost some 40 plus years previously. It bears no FV signature. but is illustrated simply to show Felix's wide ranging abilities. 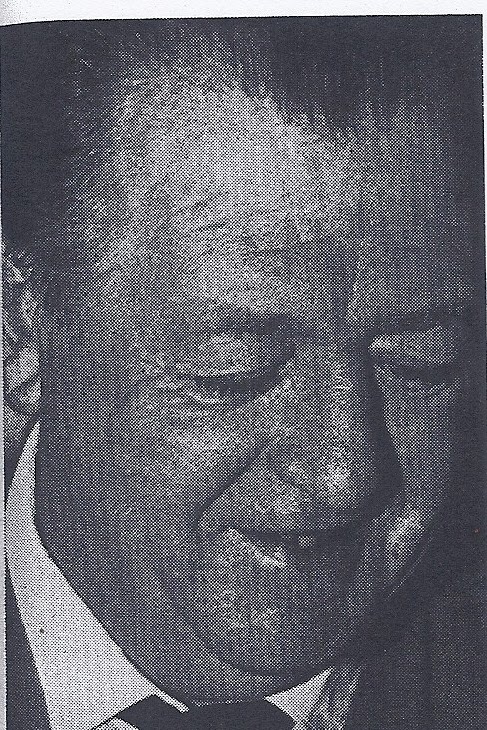 I do know that When Felix was released from the South West Africa Internment camp, upon his return to Johannesburg, He found that his car had been used to the point where it was unusable, his belongings, workshop, furniture, dwelling, ransacked and most all of his possessions had disappeared. Once again he was almost destitute, except for the wonderful pieces he had diligently made in the Camp, and so he was able to start all over again and establish himself anew, where by 1947 he was driving a lovely 4 door Silver Opel Kapitan, then by 1948 or so he was driving a great big Baby Blue Buick Road-master and even owned a lovely home on Third Avenue in Mayfair North. One day in 1950 or thereabouts he appeared all excited at our door to take us all for a drive in his very impressive, shiny new, Black Jaguar motor car! After he left, my mom told me somewhat breathlessly, that the car had cost as much as a house did in those days! I was greatly impressed and Felix rose even further in my esteem as a result. Later in the mid to late 1950's Felix, with my father as support, went to Jan Smuts Airport one afternoon to meet a most beautiful, refined younger Berlin born lady, Editha, whom he subsequently married a short time after. "Edit" was lovely, physically, and in both mind and soul. She spent a considerable time with our family who loved her dearly. Unfortunately there were no children of this union. I think they both would have loved to have children and would have been great parents. Felix was also a great cook and would cook up copious quantities of food at the slightest excuse, to have a party. It is fair to say Felix really loved life. Edit and Felix had a Female Ridgeback dog called "Woezel" that would stare at one - unblinkingly - all the time that one was in their home! …..It was really quite unnerving! If one turned one's head, Woezel would move around to where she could lock her golden eyes on on one's own, and just continue to stare - hard! Otherwise she was a lovely dog. In the early 60's upon learning I was courting a young lady, Felix and Edit insisted that we needed to have an appreciation of both Opera and Classical music, and as such, should attend their beautifully appointed cultured home, every Thursday evening for an hour or longer classical music concert, played through their wonderful, state of the art, modern Hi-Fi equipment. This continued for many months, for which I am forever grateful, as that love of classical music remains with my family to this day. Just another example of how kind, generous and thoughtful a human being, Felix Vetter really was. In the mid 60's, Felix died of a heart attack one afternoon in his Jeppe Street store. Some years later, (probably 1975) Edit left SA to live with her sister in London England. 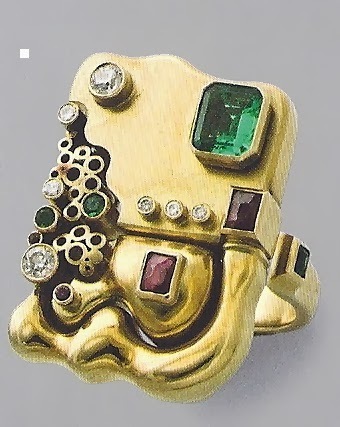 In the Mid 90's , courtesy of the internet, I came across an extensive Rosebank auction of Felix's jewellery at very reasonable prices. 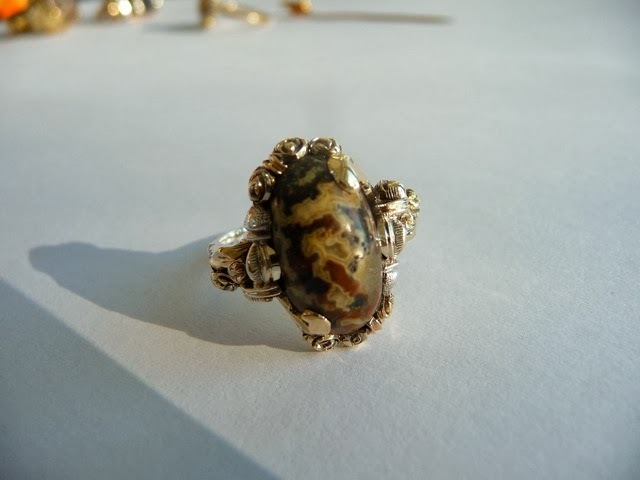 Unfortunately I found the site, too late to bid. One was the Blacksmith in Pfortzheim or Cologne, (I cannot recall), where Felix and others were all apprentice Goldsmiths learning their craft, and who paid regular visits to the local blacksmith. To demonstrate his strength one day, the blacksmith took one of the horseshoe nails he had fabricated and whilst the students watched in amazement, he twisted the h nail into a corkscrew, using only his bare hands!… and taunted the students to do the same on subsequent visits. 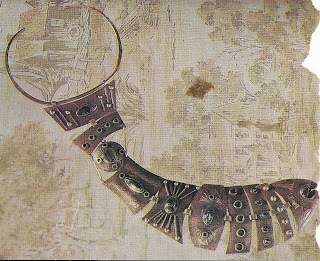 Not being able to, and wishing to best the blacksmith, Felix and his friends made, annealed and hardened a fake "horse shoe nail", doing their best to make it appear as ordinary as possible, which they subsequently gave to the blacksmith simply asking him to make another corkscrew for them…..Upon accepting the Fake and beginning the first twist, the blacksmith smiled broadly and said…Ah so gentlemen,.. I see you have learned something at your school after all hey?… and whilst they watched in astonishment, gritting his teeth but still smiling, he slowly twisted - by hand - the hardened steel fake into the corkscrew spiral they had requested, and handed it to them with a flourish! I immediately visited our local blacksmith to acquire some horseshoe nails, which Felix generously turned into rings for my friends and I, which we wore proudly for many years. The other strong man Felix mentioned was another German who lived on a huge farm in the then South West Africa, Felix said he could lift a 45 gallon steel drum full of water, from the back of an ox wagon and place it on the ground, without any assistance! Felix also mentioned that he was also a "real Character" quite famous in the Windhoek area. For example he had a wife who had nagged him for several years to take her to one of the functions in Windhoek whenever these social occasions took place from time to time. On one occasion a large dinner and dance was also to be coupled with some celebrities appearance and she really wanted to attend. Ok he said, after much nagging…. "get yourself ready for this Friday night and we will go. In the meantime I have to go to Windhoek for some supplies and will be back tomorrow evening" - Instead he went to Luderitz, boarded a tramp steamer that was travelling the world and only returned 2 years later! Some time after the 2nd WW had ended he received a letter from his wealthy family in Germany, informing them that their fortunes had eroded precipitously, and as a consequence, they were no longer able to send him the semi annual stipends he had been receiving for many years. 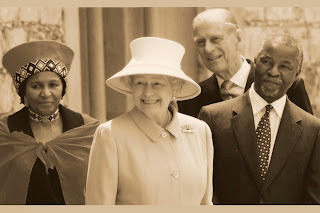 In response, he had a photographer from Windhoek, make a special visit to his farm, to photograph him, seated on a large chair, surrounded by a huge number of scantily clad Herero and other tribes-women, together with their children, in a large semicircle around him. He then sent this large photograph back to Germany with a note stating that as he could no longer afford to live in Namibia without the stipends, he would have to bring his family home to Germany, and would they please prepare for his family's arrival as soon as he could make all the arrangements. Needless to say, the stipends were miraculously found again in Germany and continued to be sent for many years! Funny how these stories stick in ones's mind all these many years. - No? I consider myself really blessed to have known Felix Vetter. A true Renaissance Gentleman. In closing, I trust you will find the above information of some value and would like to wish you much success with your research project. Please do not hesitate to contact me if there is anything else you feel I might be able to do. No, for some reason I have not received the original e-mail. But I am absolutely delighted that you resent it. Thank you very much for your recollections of Felix Vetter – which made him come alive. For me as an academic, this information is worth gold.. I knew little about him, apart from the attached newspaper clippings. But I had a sense that this man was a master craftsman with great creative vision. This is also clear from your images of his work. 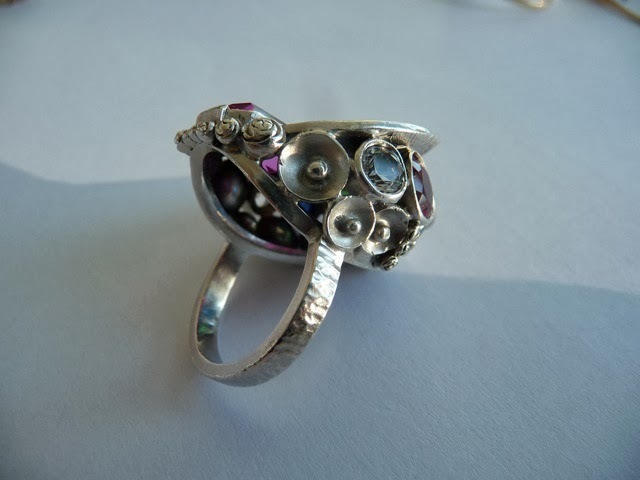 And the Sao Palo Biennale winner for creative jewellery (have you got an approximate date – I could then follow it up with a newspaper search?) confirms that. Your collection of internment jewellery produced by Felix reflect the time and care that was invested in it. Please take good care of it. Work of this quality produced under internment circumstances is rare, very rare. And beyond its beauty, it also has historical cultural and anthropological significance. His flower motifs are just breathtaking. I’ll record his maker’s mark in my work. I would appreciate more information about him: Dates, such when he entered the country, when did he die. I assume, he worked until the day he died – As you have noted, great artists have a compulsion to create and he couldn’t suppress that. Again, heartfelt thanks for sharing this information. Would you mind if I post it on my blog? 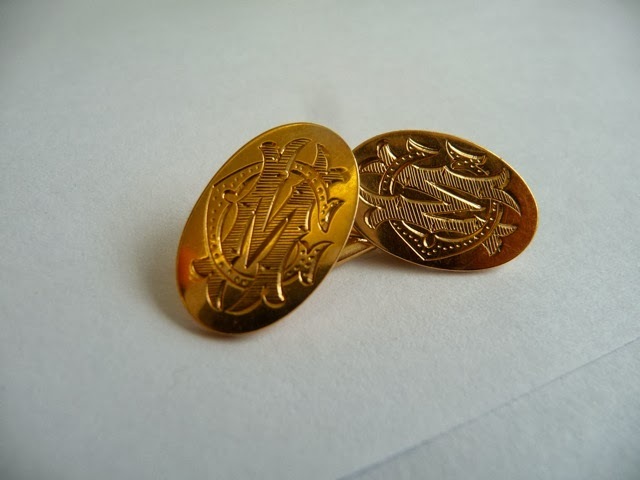 I also like the lapel pin – hope you wear it often times. So delighted to learn you finally received the e.mail and images and that you are pleased therewith. Thank you so much for the images which you attached to your reply, I particularly value the Photo of Felix as I did not have one until now. Felix's Store/Workshop Exterior sign read "F.V Jewellers" in bright blue outlined letters on a White background. The FV was in the shape of his Makers Mark. As soon as I have some time, I will determine the exact locations of both of his retail premises in downtown Johannesburg, for your records. As for when he entered S.Africa, Felix was already successful in Johannesburg at the start of WW2 so I surmise he must have emigrated possibly as much as 5 years prior. I know his port of Landing was Durban. Felix, collapsed and died of a massive heart attack in his premises in approximately 1967/1968. I'm sorry I cannot recall the precise date either. Also, professor, my objective was both to respond to your original request for information, and to hopefully honour Felix by leaving leave a record of some of Felix's life and works. I think that Felix would be very pleased to discover he is being memorialized in your Project/Blog too. How wonderful that you took on your interesting and worthwhile project. 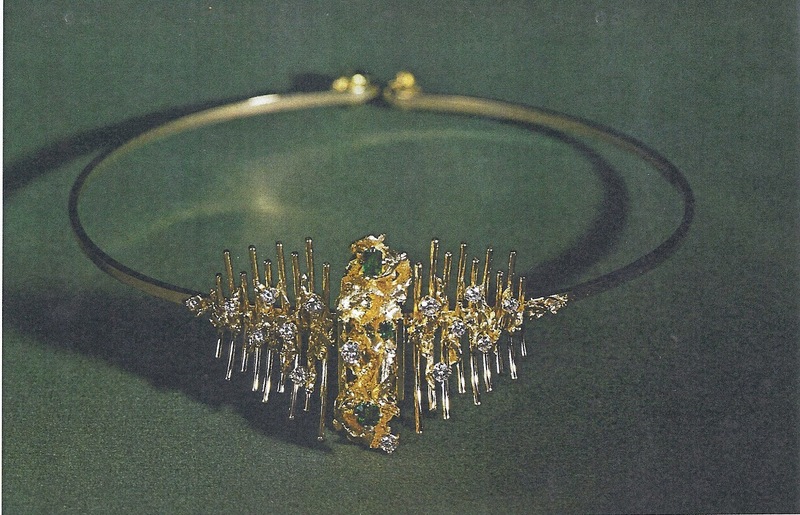 I am sure that the families of other Jewellers/Goldsmiths would be greatly honoured by your fine efforts too. Thank you for your ‘bravo’, it doesn’t happen often and I feel flattered..
Also, thank you for good information that I shall include in future publications. 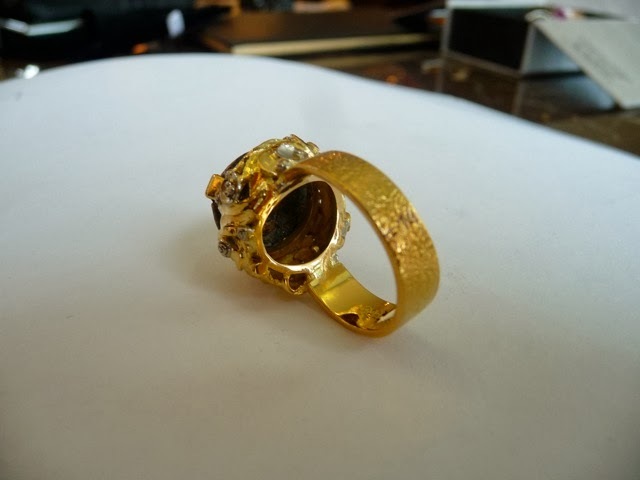 It gives me great satisfaction to record the lives of our creative jewellers – it is a bit like a Sherlock Holmes process, but every now and then, someone like you comes along and provide information I could not get in any other way. I find it exciting. I have great regard/respect for people who can express ‘wonder and beauty’ with their hands. I am rather useless in that regard. 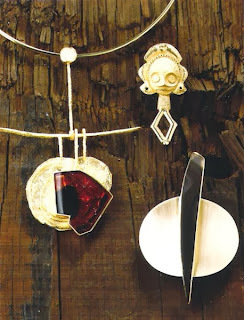 Thank you for letting me post your work on my blog. I would like to post your e-mail as a whole as well as relevant sections of our correspondence. Must say, the jewellery is very well photographed. 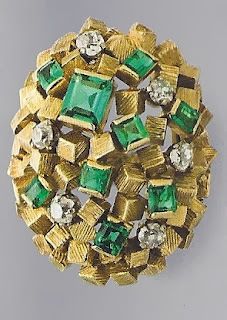 And let’s see, when it is uploaded, perhaps someone else who owns Vetter jewellery may respond.